There is probably no other nutritional element that has been studied more extensively than vitamin C. More than 100 years of research have built a robust evidence base for the importance of ascorbic acid in human health and well-being. However, new evidence emerges constantly that reveals previously unknown and exciting roles for this valuable substance in our daily lives. Vitamin C is a crucial supplement for young people who love to exercise and follow an active lifestyle in general. 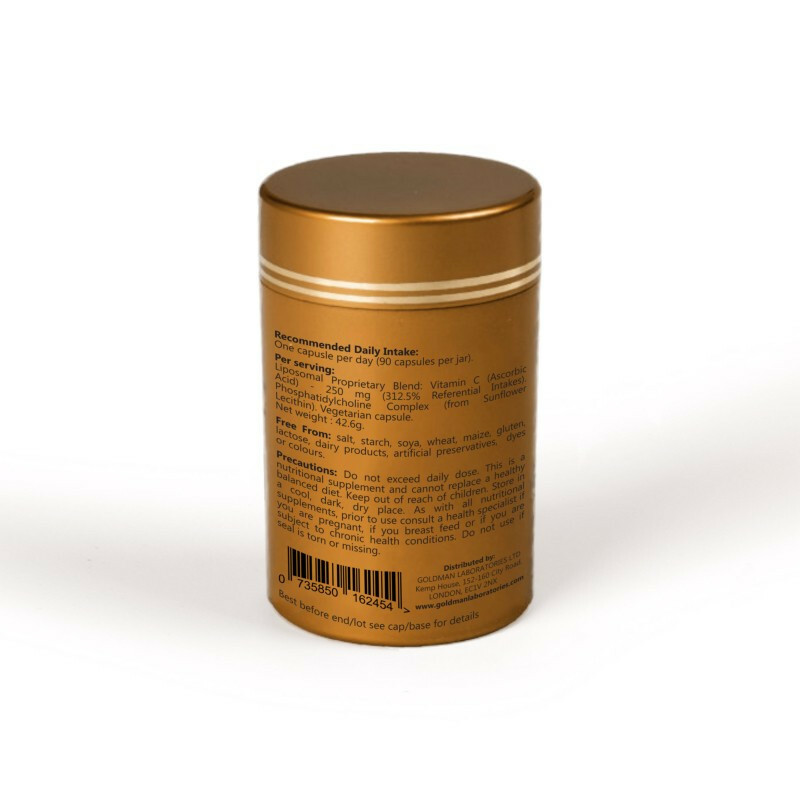 Through its critical role in the biochemical process of collagen production, which the body uses to create and repair almost all kinds of tissues . Vitamin C helps the body recovery from strenuous exercise and get stronger and healthier. Vitamin C keeps immune cells healthy by countering the deleterious effects of oxidative stress on leucocytes. This property makes it absolutely necessary during the winter period, when physical and mental stress are combined with the increased incidence of viral illnesses. A lesser-known effect of vitamin C is that it can help improve the blood lipid profile. As a matter of fact, there is substantial research showing that vitamin C can actually act as a lipid-lowering drug, minus the side effects! Indeed, it has been shown since 1986 that ascorbic acid can inhibit the enzyme HMG-CoA reductase, essentially mimicking a statin . Since then, several published studies confirmed the capacity of vitamin C to lower LDL and triglycerides, while raising HDL cholesterol [3, 4]. Living in modern societies has countless benefits; however, it has also introduced many nuances that affect our health both directly and indirectly. Everyday stress puts our cardiovascular system in danger and accelerates the production of reactive oxidative species (ROS), which wreak havoc to our cells and organs. Atmospheric pollution, tobacco smoking, industrialized and heavily processed food, all hallmarks of modern life, deprive our bodies from valuable elements and put additional stress on our defensive mechanisms. Fortunately, vitamin C has been scientifically shown to help with each and every one of these problems. However, there is catch; it’s not enough to simply take vitamin C every day, in whatever form. Most research shows that, in order for vitamin C to work, it needs to reach high plasma levels. That’s why it’s so important to pay attention to which galenic form you have to choose. Most (if not all) traditional vitamin C supplements are available in conventional tablet or capsule form. Moreover, they follow the example of the highest- possible-dose, offering products with 1 or even 2 grams per dose. After all, more of a good thing is better, right? It is a well-established fact that plasma concentrations of vitamin C are tightly regulated when consumed orally. This means that after a (low) threshold is reached, consuming more doesn’t raise plasma levels further, but rather increases an array of unpleasant side-effects: gastrointestinal upset, cramps and even diarrhea . 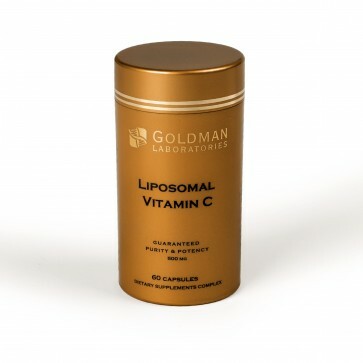 Taking advantage of Goldman Laboratories’ state-of-the-art liposomal technology, we can now achieve higher plasma levels of vitamin C than most traditional high- dose products with just a fraction of the dose. And it all has to do with the delivery system: liposomes. 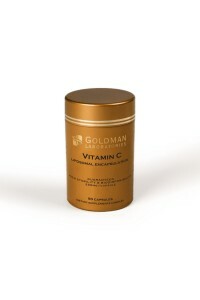 It keeps Vitamin C insulated and thus protected from oxidation. 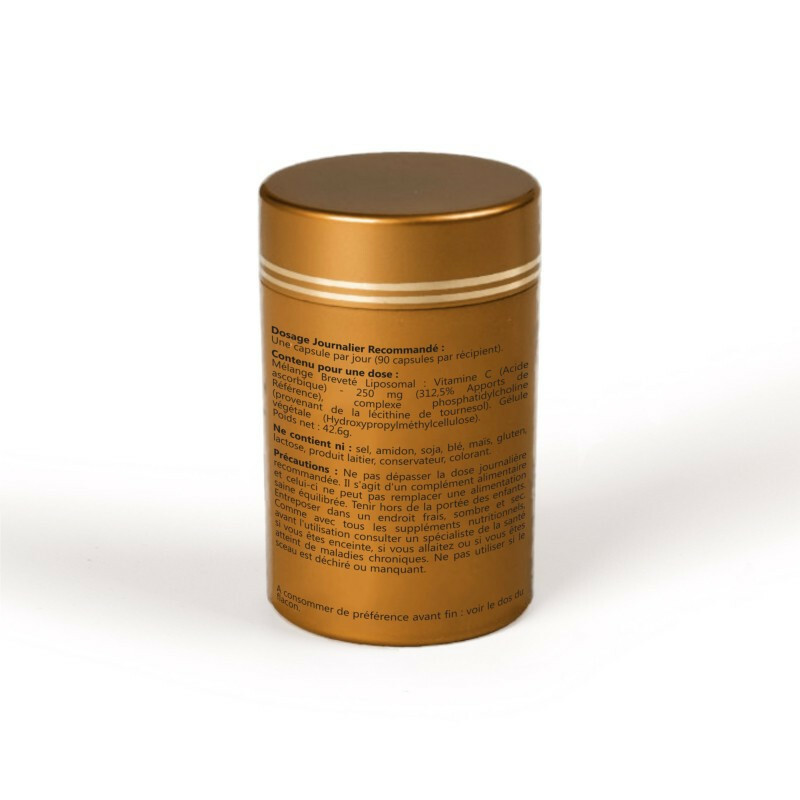 It facilitates complete absorption from the gastrointestinal system, virtually eliminating all side effects. It doesn’t has any use for coloring or other additive agents. It effectively raises plasma concentration and cellular uptake in levels far beyond any traditional form can achieve . However, not everyone can make such high-performance liposomes. To ensure optimal efficacy, only premium quality raw materials should be used; liposomes should be sized according to certain standards; all claims should be validated by independent testing. 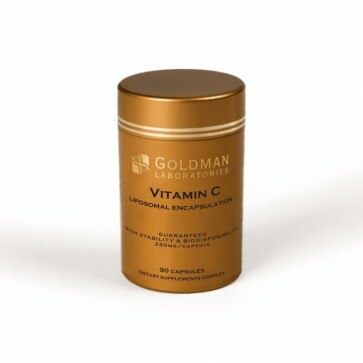 Goldman Laboratories’ vitamin C 250mg with liposomal encapsulation meets the stringent quality criteria, making up for a marvelous vitamin C supplement of true liposomal encapsulation really delivers what it promises. Only by trusting a high-quality product, made by a respected manufacturer, you can be certain that you reap all the benefits of this superior vitamin delivery system. :BOYERA N, GALEY I, BERNARD B. Effect of vitamin C and its derivatives on collagen synthesis and cross-linking by normal human fibroblasts. International Journal of Cosmetic Science. 1998;20(3):151-158.
:Harwood J, Greene Y, Stacpoole P. Inhibition of human leukocyte 3-hydroxy-3-methylglutaryl coenzyme A reductase activity by ascorbic acid. An effect mediated by the free radical monodehydroascorbate. The Journal of Biological Chemistry. 1986;261(16):7127-7134.
:McRae M. Vitamin C supplementation lowers serum low-density lipoprotein cholesterol and triglycerides: a meta-analysis of 13 randomized controlled trials. Journal of Chiropractic Medicine. 2008;7(2):48-58.
:Siavash M, Amini M. Vitamin C may have similar beneficial effects to Gemfibrozil on serum high-density lipoprotein-cholesterol in type 2 diabetic patients. Journal of Research in Pharmacy Practice. 2014;3(3):77.
:Padayatty S. Vitamin C Pharmacokinetics: Implications for Oral and Intravenous Use. Annals of Internal Medicine. 2004;140(7):533. People suffering from kidney disorders, kidney stones or hemochromatosis should not exceed an intake dose of 250 mg per day and should consult a medical professional before using any product containing vitamin C.